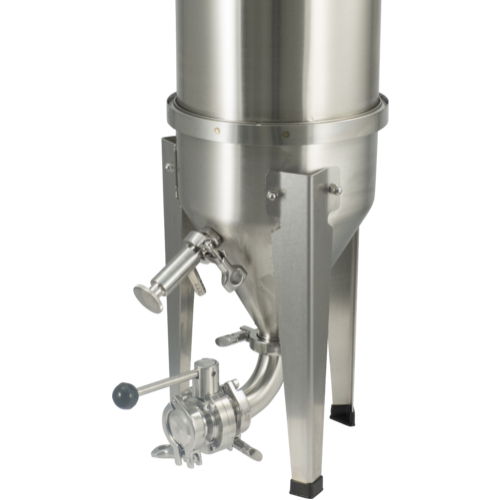 The Cornical™ is a new, unique offering from Blichmann that allows you ferment and keg in the same vessel. Saving you on both time and labor. 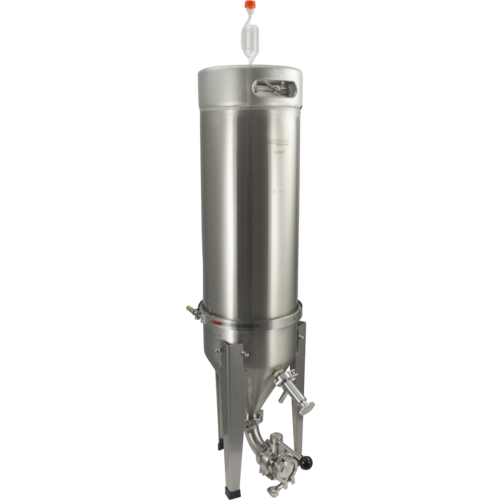 Built with sanitary stainless steel and rated up to 50 psi you can perform a no chill transfer and ferment under pressure. It is made from two main pieces. 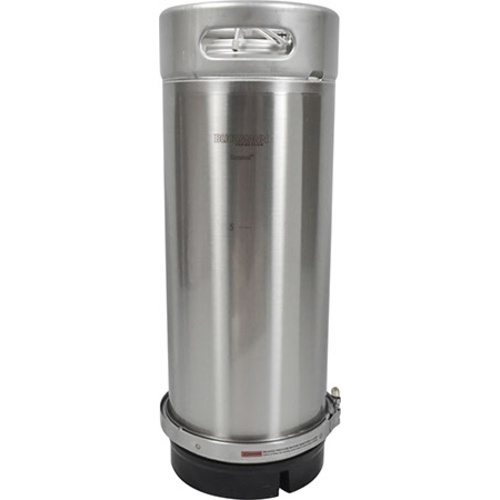 The first is a modular keg with a removable base that makes cleaning fast and easy. 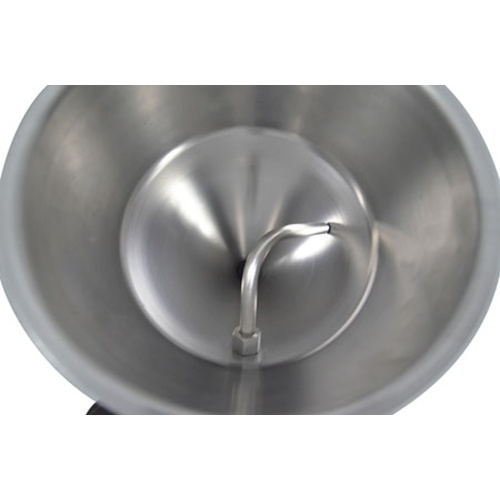 The second part is a versatile conical bottom that clamps onto the keg and converts it into a pressure capable fermentor. 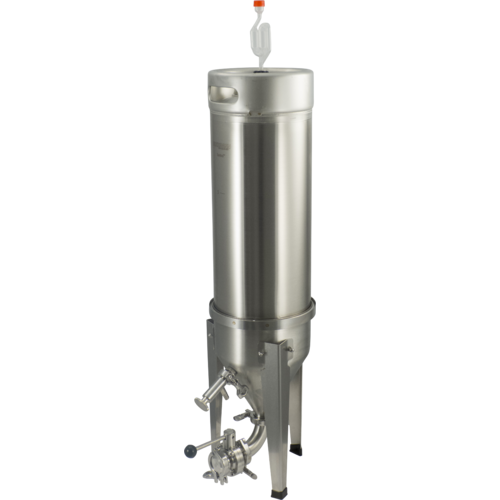 With the upcoming addition of Spunding valve accessory you will be able to control pressure during fermentation. Allowing you to have even greater control over your fermentation profile. This modular design allows you to use the conical bottom to ferment another batch on a different keg while you carbonate and drink your first batch all in same fermentation vessel. 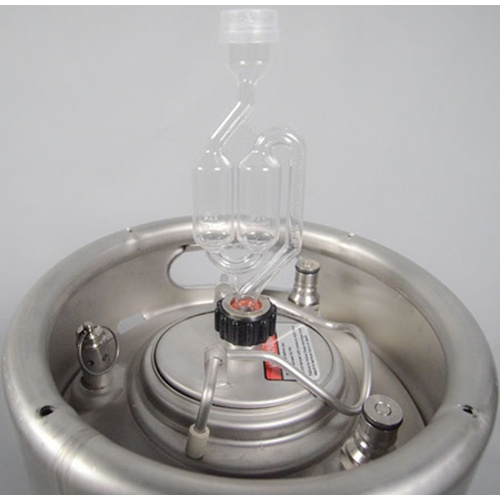 Thus eliminating the kegging step and cutting down the risk of possibly introducing your beer to oxygen and bacteria. Note: The Cornical can be bought as a complete system (both Keg and Fermentation Kit) or you can buy a Keg or Fermentation Kit on their own. 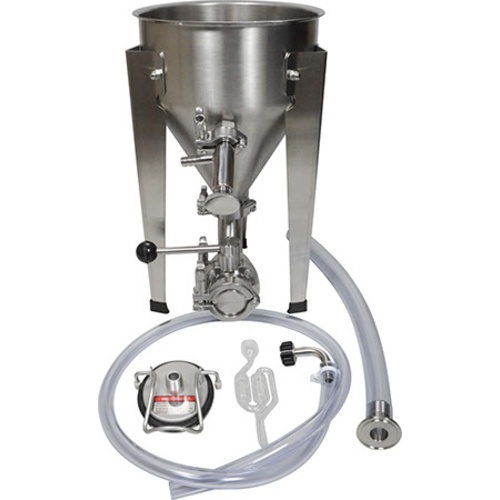 What are the measures of the Cornical Fermenter - Full System box packages? I need to arrange the shipment to Chile and the Courrier company is asking me this. BEST ANSWER: Hello Cristobal - We do not drop ship internationally. If this is something you would still be interested in, we would need to ship to a freight forwarder, then to be handled by a courier of your choice. Can you remove the keg and serve from it, i.e. put it in a fridge? BEST ANSWER: Yes. After you flip it over and attach the flat bottom piece on, it becomes a corny keg. What is the size of this in gallons and how tall/wide is it? BEST ANSWER: Here is the measurements. Height to the top of the Chime38.5"
Height to the top of the Blowoff Kit40"
Height to the top of the Airlock43.5"
Worked as promised! One Batch In. EASY to clean! Honestly a great deal even if you don't use as a keg! This is a solid piece of equipment! The Butterfly valve is very heavy and solid. Very easy to take apart and clean- you can stick your entire hand in the bottom of the keg! I was able to scrub every inch of this thing in under 10 minutes! My original plan was to use the keg to serve out of, but the on-line reviews I watched (after I bought it, of course) scared me. As is I dumped the trub after secondary and pushed the beer with CO2 to a clean corny keg. Both dumping of the primary and secondary was very easy- no clogs. Remember to purge the CO2 first! And if you get a clog, a little pressure can help push it out. 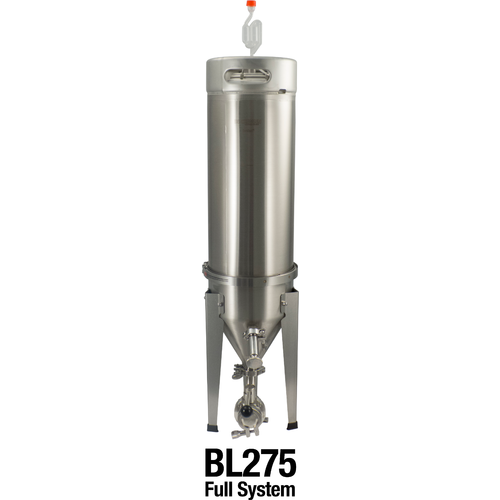 -Stainless conical fermentor with sanitary fittings for $520! -You will have a "spare" keg laying around as well if you aren't fermenting. -Everything you need in one kit. -Easier to carry when full than a carboy or plastic-type conical. You can carry it basically like a keg. -There was some "gunk" on the side of the keg- not sure what the beer would taste like with it sitting in it, but I did have to scrub it off- so maybe it would not all get into beer. -One of the legs is a little loose- I think I can tighten it back in place. I will try once the batch is done. Note- the inside of the cone is smooth- the legs do not create any seams inside. Very slick! -Height/Size- This thing is significantly taller than a normal conical. This will probably not fit into any dorm room fridges. -No built-in heating or cooling- and no easy add-on options, either. You either need a full-size fridge OR have to create your own system (wraps maybe? Being skinnier/taller means more surface area to heat/cool faster). -Cost. It is $520, right? I guess you can grab a basic conical for less- but this is Blichmann. Some good features on this. Again- even as a stand-alone conical I say it competes at the price point. Throw in a keg option and it's a pretty sweet deal. I wish Blichmann would include, or at least offer, a spunding valve. Maybe it’s in the works?